For years my kids wouldn’t touch face paint. All those booths at carnivals and festivals- they’d run the other way. Then my daughter came along. She started out like her 4 older brothers (who still hate face paint) but then she got hit by the bug. 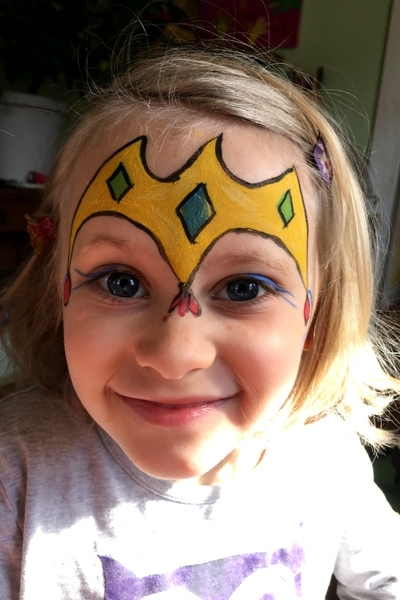 One Christmas she was given a set of face paints- and it was all over! Now she wants to be painted every day. All sorts of animals and creations. 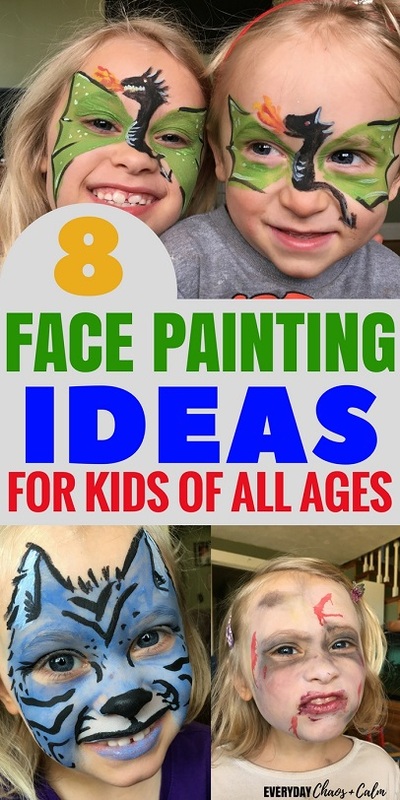 Here are some easy face painting ideas that your kids will love- and you don’t have to be an artist to create! 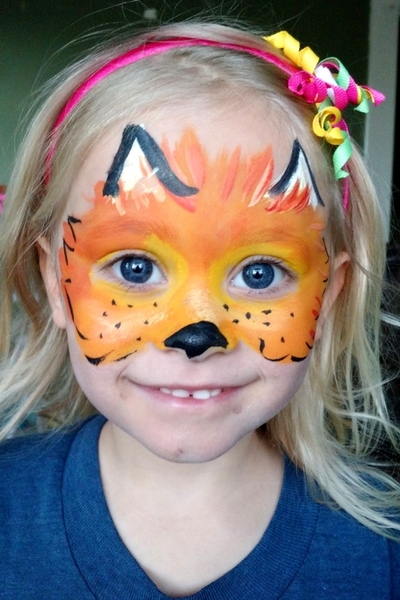 I have found the easiest way to get good at face painting is to look at a picture and try to copy it. Directions aren’t needed so much as a good clear picture to see what they did and try to recreate the look on your own. Brush the face with orange. You can the full step-by-step instructions on how to paint a fox here. 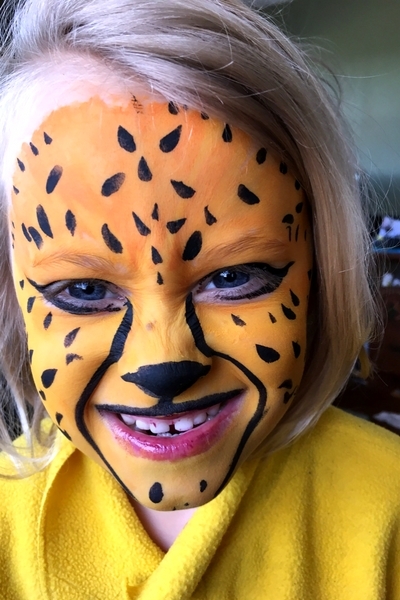 This cheetah face paint is soooo easy. Literally all it is is painting the entire face orange. Dotting black all over and then adding black eye liner, nose, and lips. 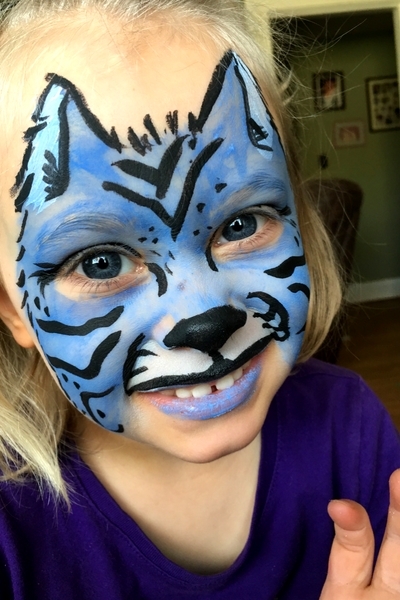 Okay so you can totally face paint an ORANGE tiger, but the blue one is just so cute! All you need are blue and black to create this look. Paint he entire face blue, add some black around the nose, mouth and eyes. Then use black to add tiger stripes around the face and ears. What little girl doesn’t like pretending to be a princess? We’ve done TONS of crowns over the year off all different colors. All you have to do is draw a crown shape in you base color, remembering to leave some white for where the jewels will be. Paint in the jewels in whatever color you wish and then paint a black outline all the way around. Add some embellishments around the eyes and edges if you wish. Now my youngest son loves to get in on the face painting action. He loves to do anything his big sister does! So now we have the frog prince and princess together! You will need green yellow, black and white for the price and also pink if you are making the princess. 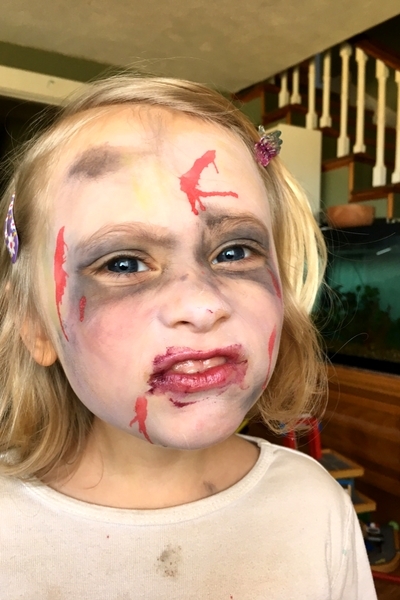 Can you tell this girl has 4 older brothers who have taught her all about zombies?! Zombies are about the easiest thing to face paint. I used a sponge to paint a very thin layer of white all over her face. Then back to lightly blend around the eyes and in random places on her face to give it a bruised look. Then I used red mixed with a lot of water to add the dripping blood spots. I think butterflies are some of the most commonly face painting things. And they are really easy! I’ve done a lot of butterflies- this is the only one I can find a picture of right now. 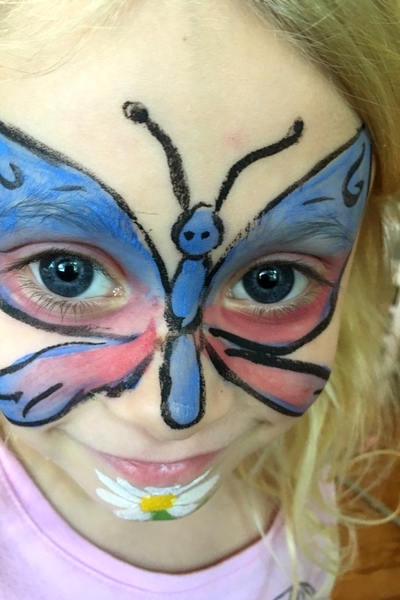 But if you can draw a butterfly on paper you can paint one on a face! I think they look best with at least 2 colors blended together. And if you have any body glitter- that’s even better! This is another one of my very favorite designs. I copied it off a picture I found online. And one we’ve done a number of times in the past. You will need green, black. 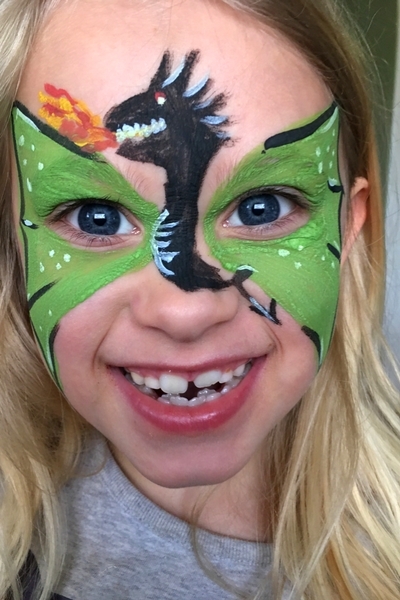 white, red and yellow face paints to make this dragon. His wings spread out over the eye and the body lies between the eyes. And it’s not nearly as hard as it looks to make! 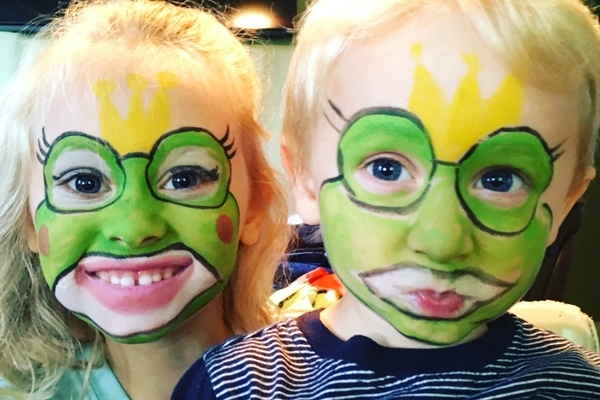 These face painting ideas would be the perfect addition to any Carnival Birthday Party! See how to throw your own DIY Carnival Birthday Party your kids will love!